The original Supernova, up to 120"
Award-winning Supernova Screens combine the superior image quality of optical rear projection with the minimal space requirements and installation ease of front projection. The Supernova One’s advanced optical technology features an active high-contrast filter; the screen reflects the projected image while absorbing ambient light. The result is vivid, sharp pictures with up to 7 times the contrast and double the brightness of conventional front projection screen images. This is the world’s first front projection screen to break the 15:1 contrast barrier, which is the empirical standard for acceptable contrast. It delivers clear, crisp images with full colour saturation and prevents eyestrain regardless of viewing position. Ideal for brightly lit surroundings including conference rooms, classrooms, lecture theatres, shopping centres and exhibition halls. 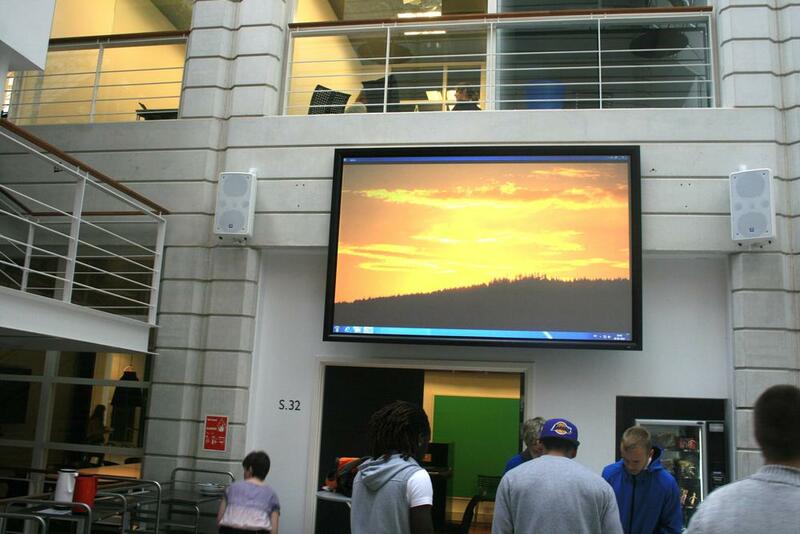 Award-winning dnp Supernova optical front projection screens from dnp denmark are designed specifically for use in high ambient light. With 7 times the contrast and double the image brightness of traditional front projection screens you get more vivid colours and crisp, detailed images, even in bright light and daylight, and, as you do not need such a powerful (expensive) projector as traditional front projection screens, they are much better value too.